What is the language of anatomy? Using proper medical and anatomical terminology allows all healthcare workers to communicate in one language which reduces errors and saves lives. Anatomy can seem overwhelming with the multitude of strange-sounding terms. You may have heard the expression, "It's GREEK to me." ​Well, it's not Greek, it's Latin! ...well, mostly. The language of science was designed to be universal. The idea is that experts in the field of science l (medicine, biology, zoology and chemistry etc.) can communicate exactly and precisely with one another, regardless of their language. ​Getting rid of ambiguity is imperative in communicating an idea, a location on the body or a procedure. Imagine if you needed a life-saving procedure and the doctor gave your surgeon the ambiguous instruction, "remove mass from inside chest". Well.... there was a time where all "standard" communications in scientific disciplines were written in Latin as the "international scientific ​lingua franca." In the days of the Roman empire, Latin was the main language used in all scientific, civil, diplomatic, legal, and even religious communication across Europe. Many languages change over time. 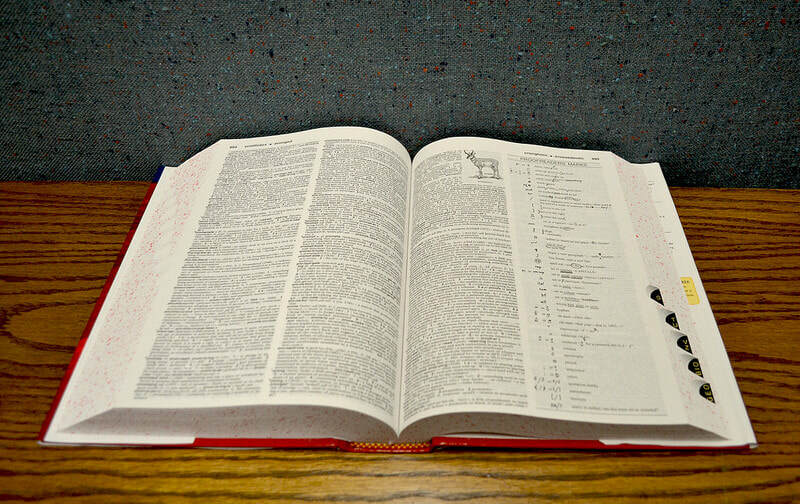 If you read a text written in Old English, you may find it challenging to interpret, even as an English speaker. Several documents exist today that experts cannot interpret because the language or dialect in which it was written has essentially "died out". The idea of using a universal language (LATIN) was to preserve important knowledge for future generation. ​We often hear the terms "anatomy" and "physiology" used together, but do you know what they mean? The terms are definitely related. Anatomy refers to structure and physiology refers to function. ANATOMY comes from the Latin word "anatomia" which means "to cut up". ANATOMY is defined as the study of STRUCTURE of the body, whereas PHYSIOLOGY is defined as science of the FUNCTION of living things. One of the over-arching concepts of anatomy and physiology is "the complementarity of structure and function". We can see how anatomy and physiology are so intertwined by comparing the structure of a body part with the function of that body part. You will find that the structure of a given anatomical feature will be directly related to its function, and the function of an anatomical feature will depend upon the structure. For example, let's look at your knees. How does it bend? It only bends in one direct (we hope). Why? Because of the way your knee joint is STRUCTURED, your knee only FUNCTIONS to bend one direction. Here is an X-ray of a knee in action from addisystem.com (see reference link). You can see that the structure of the joint restricts (or dictates) the movement of the leg. There are 2 main branches of anatomy. OK, know what you are thinking about when I say "gross", but that is NOT the kind of "gross" we are talking about here! The word "gross" actually means "the whole, or total". Think of your "gross" income. In anatomy, when we talk about "gross" we are referring to analyzing the outward anatomical features of a part of the body or an intact specimen. Gross anatomy is anatomy that can be visualized with the naked eye, (without the aid of a microscope). When we refer to microscopic anatomy, we are referring to very fine anatomical features that can only be visualized using a microscope. Histology - Histology is the study of tissues. 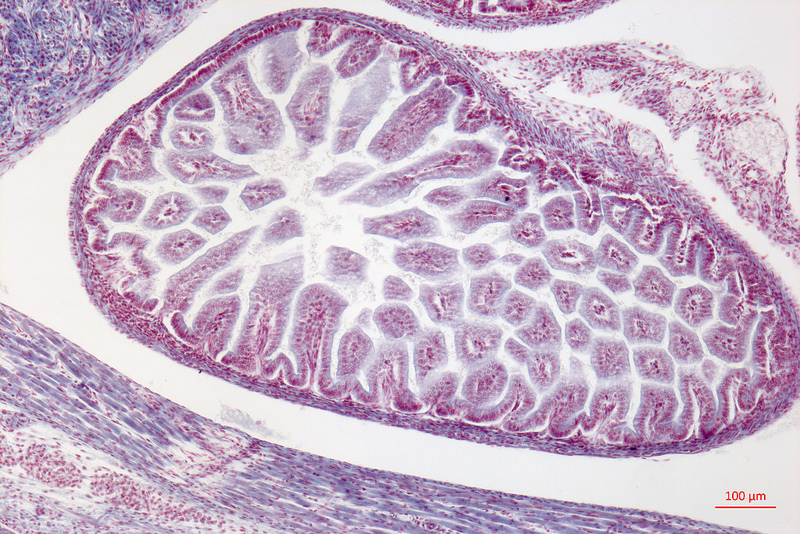 It focuses on the microscopic detail of tissues and the cells that make up those tissues. Cytology - The branch of biology concerned with the structure and function of plant and animal cells. For example, histology is used in hospitals to examine biopsies and other masses removed from the body, because many diseases can be identified by changes observed at the tissue level. Developmental Anatomy - Developmental anatomy examines the anatomical changes that occur over the life-span of the organism. Developmental anatomy looks at the how an organism's anatomy changes during the processes of development, growth, and aging. Embryology - Embryology is the study of the development of the body from the time just after an egg is fertilized to birth. 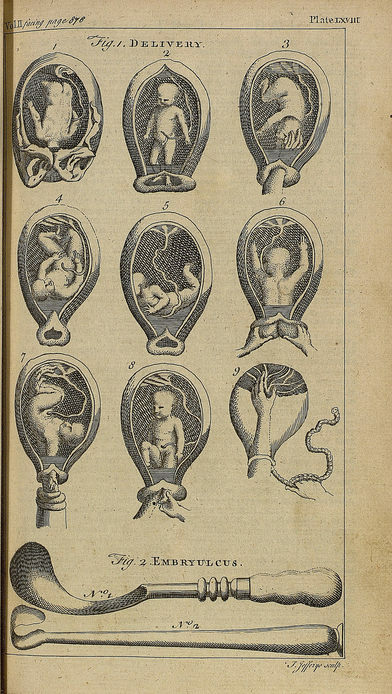 Embryology gives us insight on how anatomical structures develop and helps us identify developmental disabilities. Pathology - Pathology deals specifically with the examination of anatomy for the purposes of obtaining a medical diagnosis or scientific research. Pathology deals with understanding how disease affects the anatomy at the organ level, the tissue level and the cellular level. Functional Morphology - Functional morphology deals with the analysis of the shape and form of anatomical features with respect to its functional properties. For example, a specific shape or form of the legs, may translate to superior running performance in some athletes. 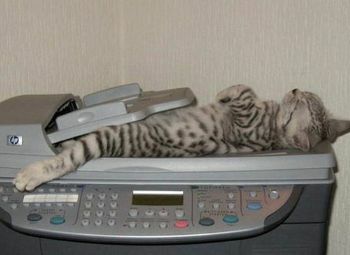 (No, this is NOT a real CAT SCAN). Ok, THIS is a CT-Scan (CAT Scan). 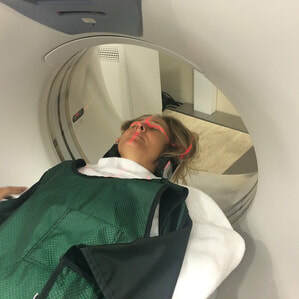 CT-Scan, X-Ray, MRI, FMRI and other advances imaging techniques are being used to pinpoint the exact area of interest, without the need of exploratory surgery. New cancer treatments like tomotherapy use imaging techniques to pinpoint the location of the tumor and then use computers to deliver beams of subatomic particles to the targeted area. This allows doctors to preserve more of the healthy tissue surrounding a cancerous tumor. Systemic Anatomy - Systemic anatomy looks at the anatomical features and functions of the body as a whole, It focuses on all of the organs of the body and examines how they function together in the body. Regional Anatomy - Regional anatomy looks at only a particular part or region of the body. It focuses on the anatomical structure of specific body regions, such as the abdominal region or the cephalic (head) region. Surface Anatomy - Surface anatomy looks at surface anatomical features of the body. It focuses on the shapes and landmarks of the body that reveal the underlying anatomy. Radioiographic Anatomy - Radiographic Anatomy uses modern imaging techniques to identify and study internal structures of the body. One example of how these different levels (or branches) of anatomy work together is in the pathology department of hospitals. Whenever any patient in the U.S. has a procedure in which anything (and I do mean ANYTHING) has been removed from the body, it must be analyzed by the pathology lab. Let's say that a patient went in for a colonoscopy and the physician discovered a small growth called a "polyp". The physician can remove the polyp and send it to the pathology lab for testing. When the polyp arrives to the pathology lab it first is examined grossly. The grosser (one who grosses) will visually examine the specimen and create a report of the gross findings. After the grossing stage, the specimen will then be processed, sliced, and mounted on slides for microscopic analysis. The specimen will also be able to undergo different staining techniques that assist the pathologist in a diagnosis. This information is generated in the report and reported back to the physician.